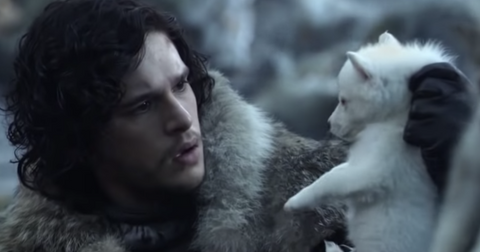 Has there ever been more pressure to stay "on brand"? Probably not, learned YouTuber and influencer Yovana Mendoza Ayres, better known for her vegan inspo lifestyle channel, Rawvana. 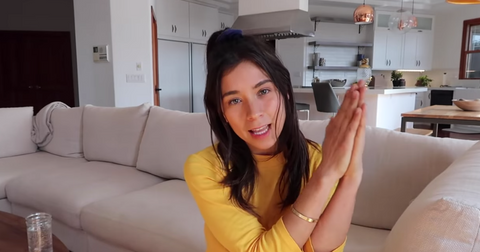 The 28-year-old vlogger recently came under fire when some of her nearly 2 million followers caught her doing something very un-Rawvana in a video. 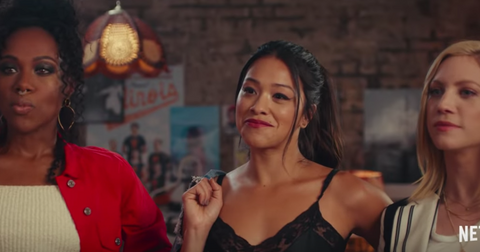 A friend accidentally blew up her spot when she posted a video totally unrelated to diets: vlogging about their mutual friend Enrique, who just got back from his travels in Asia. Yovana is sitting behind her friend, next to Enrique, about to dig into her meal when the camera pans at her. Then, she looks uncomfortable and noticeably embarrassed, and goes to hide her dish with her elbows. 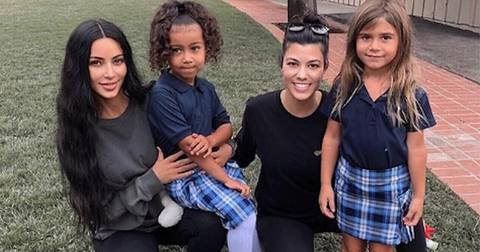 Fans believe she might have been trying to cover up the worst possible offense within the vegan influencer community: dining on a plate of fish. Yikes! People took to Instagram, Twitter and YouTube to call Yovana out on being a "fake vegan," causing the hashtag #fishvana to trend. "@Rawvana's 'vegan diet' as fake as her lolas," wrote one hilarious tweeter. "This 'influencer' pretends to be healthy thanks to a vegan diet & makes a living selling vegan meal plans. She was busted on video eating animal products." So, is Rawvana no longer vegan? The Rawvana brand has amassed millions of subscribers through its myriad Instagram and YouTube channels: Spanish Rawvana, English Rawvana, Fitness Rawvana, a Rawvana fan club and of course, the founder's personal influencer page. But across all of its identities, Rawvana's goal is uniform: "Lead the life that you deserve, radiate the peace and love within your soul, follow a plant-based lifestyle that will connect you to the planet." In her introductory Rawvana video, Yovana invites us all "to be a part of this beautiful family where being healthy is a really fun lifestyle" by following her recipes, meals, fitness plans, and "life stuff." Yovana is also a big proponent of "reveal[ing] your authentic self" and "eat[ing] an abundance of fruits and veggies," so when rumors about Yovana eating animals began to surface, she knew she couldn't keep quiet about the incident for long. 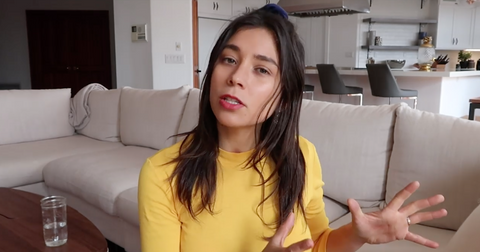 In two painfully long 30-minute videos, one in Spanish called "LO QUE ESTÁ PASANDO" and another in English titled "THIS IS WHAT IS HAPPENING," Yovana discusses her vegan awakening, the impacts it's had on her health and the reason she's had to abandon the diet. 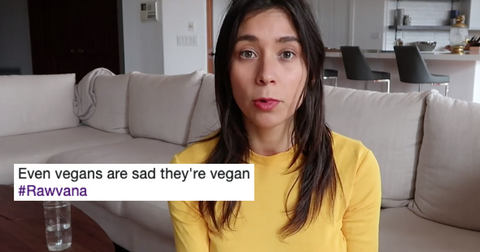 Yovana begins by apologizing to all of her followers who "feel deceived and lied to," stating she "wasn't planning on hiding this," and just needed more time to tell her subscribers why she fell off the vegan wagon. "It's not just something that happened from one day to the next," she says of the "changes [she's] had to make in [her] diet because of health reasons." "I was vegan, completely vegan, for over six years," she says. "It's been two months since I started incorporating eggs and fish into my diet." "I just want to be completely honest and authentic," she continues, and goes on to describe the healing benefits of plant-based diets. Yovana is abandoning raw veganism due to health reasons. "Something happened in my health," she said, "that led me to have to try another thing, another solution to feel better." Yovana goes into her personal history with raw vegan dieting, stating how when she first adopted the lifestyle, she did a 25-day water cleanse. "I felt amazing, I felt on top of the world, my energy levels were beyond ... but one thing that did happen after my water fast is that I lost my period," she revealed. "That went on for two years, I didn't have my period for two years." Followers have now uncovered a series of videos she posted around that time, during which she celebrated her lack of menstruation. But after going to the doctor's, Yovana learned that her hormones were terribly "out of wack" and that "even though at the time, I was feeling fine, something was going on in my body that wasn't right." She was anemic and not ovulating, so she "decided to change up [her] diet" to add fats, salts, and cooked foods, per her doctors' orders. The YouTuber wraps up by saying she wants to be "stronger" in her voice and beliefs, and is practicing self-love by feeding her body eggs and meat. But for the millions of fans who've been living by Yovana's every word, the apology wasn't good enough. Backlash against Rawvana has only grown since her apology. Many of her followers are trolling Yovana with fish images and gifs, even creating accounts like @fish_rawvana on Instagram to spam the comment sections of her pages. 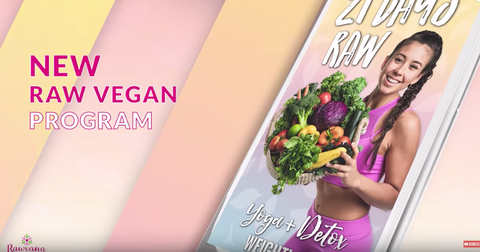 Some are accusing her of pushing raw vegan diets for her own gain, writing that "People like @Rawvana exploiting Veganism for self-promotion and then abandoning it are damaging to the Vegan movement." We honestly can't believe that she promoted a lifestyle in which she wasn't getting regular periods as a "healthy" one, but we digress. "With all due respect," wrote a level-headed person on YouTube, "this is not a hate comment — if you at any point in your life thought that not having a period was healthy, please do not coach people in diet or nutrition, that is incredibly scary people listen to your advice." Another added, "Ok so you're saying you've been having these problems for YEARS yet still promoted the diet that was making you sick, then eventually continued to promote a diet you didn't follow at all? Wow." "What is more wrong with this Rawvana problem," added another, "is that she has a food plan for which people PAY ... and she has been sick for years WHAT!!" WHAT, indeed. If you or someone you know is suffering from an eating disorder, text 'NEDA' to 741741 for 24/7 support.